The Shofuso Japanese House and Garden in Fairmount Park. 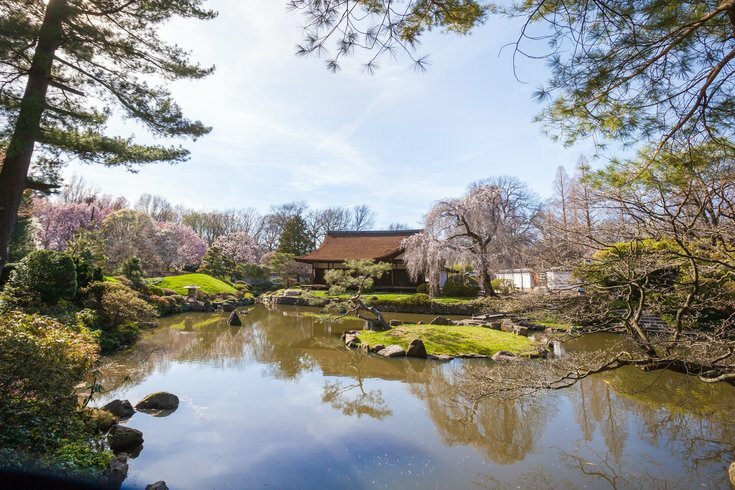 Shofuso Japanese House and Garden will open for its 60th season on Saturday, March 24. There are three gardens, including one in the style of an urban, 17th-century Kyoto garden. The house was built in Japan in 1953 using traditional techniques and materials. On opening weekend, visitors are invited to enjoy complimentary tours. Admission to the 1.2 acre site is $12 for adults and $8 for youth ages 6-17, seniors and college students with ID. Members, children 5 and under, and active military with ID can enjoy Shofuso for free. Shofuso is opening right before peak cherry blossom season. The 2018 Subaru Cherry Blossom Festival will begin Saturday, April 7. In addition to enjoying tours of the grounds and admiring the spring blooms, visitors to the house and garden can feed koi fish or attend a tea ceremony.